Hong Kong – Getting there & around! 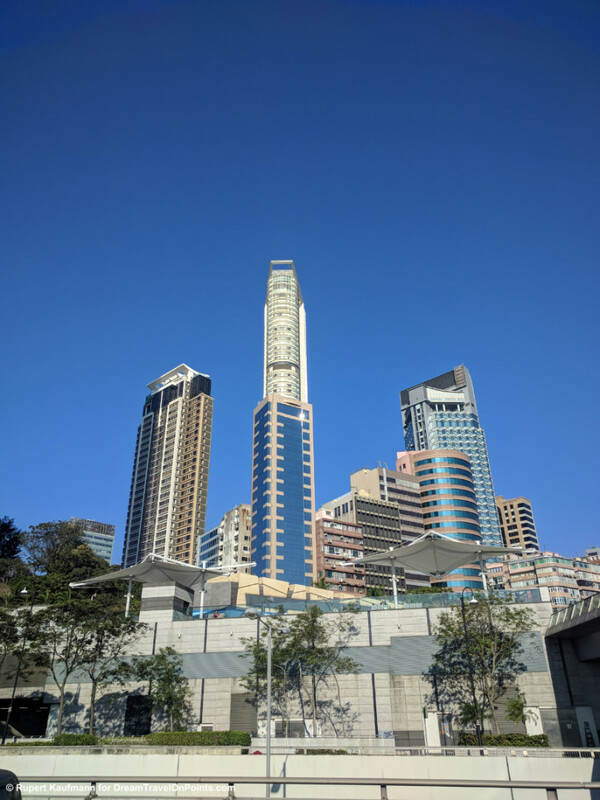 Updated 2019: Hong Kong is a fun city I’ve returned to over and over and it’s easy to get there and around, too! 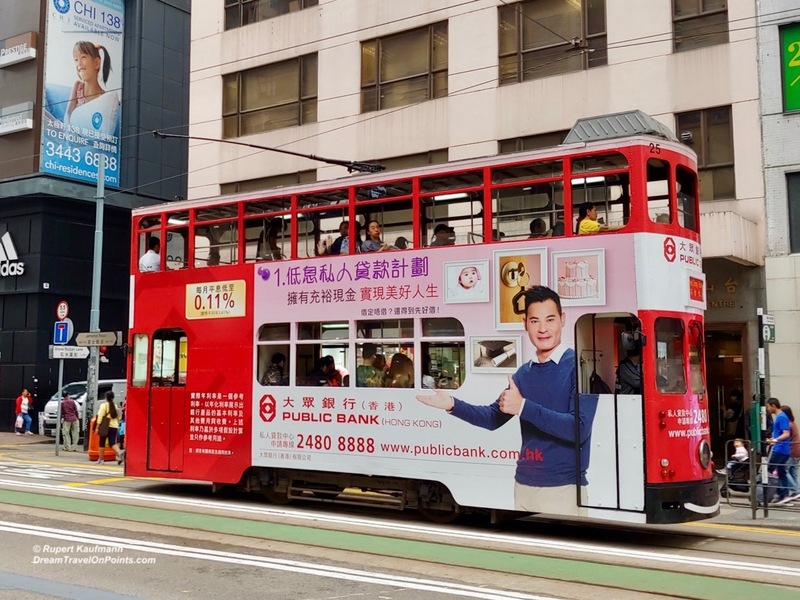 With a great airport express train, iconic Hong Kong red taxis, historic ferry boats and modern trains, buses and trams, you have plenty of options to get around! Read my Travel Made Easy tips how to get around the city easily and safely! Getting There: Most visitors will arrive at Hong Kong’s excellent international airport. It has myriad non-stop flights to any major airport in Asia, as well as in Europe, the Middle East and North America. It’s clean, efficient and safe, making it an excellent first port in Asia. Alternatively, you can reach Hong Kong by ferry from Macau, making it easy to combine the two cities in one trip. 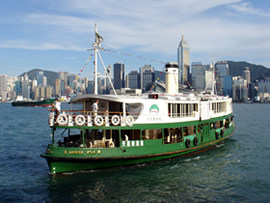 There are direct high-speed ferries from HKG airport as well as from Kowloon! A new high-speed rail is now open between Shengzen in mainland China and Hong Kong, with a massive new train station in Kowloon. 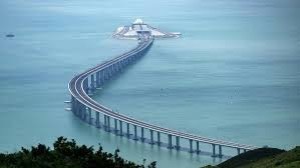 In October 2018, the largest open-sea link in the world was opened to connect Hong Kong, Macau and Zhuhai in mainland China, allowing you to drive between the three cities as another option! Traveling the series of bridges, artificial islands and tunnels is an experience on its own! Getting from the airport to the city: Hong Kong airport is on an artificial island from from Hong Kong Island or Kowloon, but easy to reach. 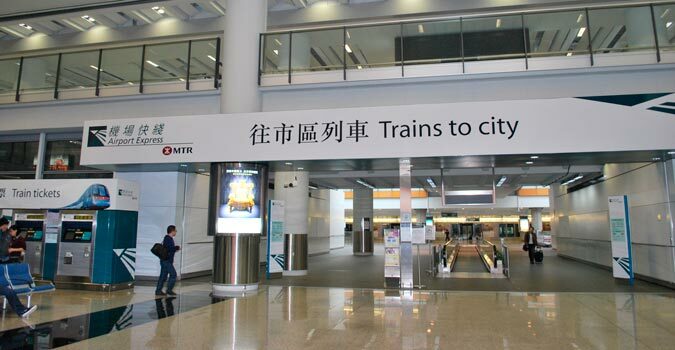 The fastest way is to take the Airport Express Train. It runs frequently and takes only 20-25 minutes to the city at a price of HKD115 for a one-way trip. Discounts are available with the Oyster card, for return trips or for families of up to 4 people. The train stops in Kowloon as well as Hong Kong Island and offers free shuttle buses that go to many of the major hotels. Many more hotels are just next to or across the street from the shuttle stops. Alternatively, you can pick up a taxi at the train stations for the trip to your hotel. The easiest way is to take a red taxi directly from the airport. It can accommodate up to four people and their luggage (extra charge). The ride will take a little longer than the train and is more expensive at HKD250-400 for most destinations in central Kowloon or HK Island. You can find a price list here! The cheapest way is to take a public bus. Several bus lines are going to Kowloon (A20/21, HKD33), HK Island (A11, HKD40) and other parts of the territory. It stops frequently, so you might be able to walk to your hotel, and will take more time than a taxi or train! You can find the full list of buses and current prices here! Getting around Hong Kong: The public transport around the city is just as good as the airport train. There are several subway lines crisscrossing Hong Kong, connecting the New Territories, Kowloon and HK Island. Get an Oyster card to store value and access the trains easily! To reach more remote places, like beautiful Repulse Bay, you can use the buses that are just as reliable and also use the Oyster card. With its beautiful location on the ocean, the historic StarFerry is not to be missed. For less than 50 US cents, you can get across the harbor between Kowloon and the island and you get a free sightseeing tour in the process. Insider Tip: If you are in a hurry, head for the ramp to the lower level, which often has shorter lines. Take the upper level of the ferry for better views! One of the more unusual way to get around are the old double-decker trams on the island. They look like an old London bus on tracks and rattle around the city, getting you to your destination slowly, but surely. They are open air, so save them for a dry day! A means of transportation you’ll find only in Hong Kong are the mid-level escalators: The city has ingeniously installed a set of connected escalators up the steep hills of Hong Kong Central, making it easy to explore the neighborhood. Keep in mind that they are going downhill in the morning and uphill the rest of the day, so make sure to go later in the day, unless you want to climb a lot of stairs as your exercise! If you’d like less public transport, you can hail one of the boxy, redtaxi cabs anywhere on the island. They haven’t changed in 20 years and might not be the most comfortable, but they will get you to wherever you want to go. Flag drop is HKD22 for the first 2km, and HKD1.60 for 200m and waiting time after that. Hong Kong is a great walking city, giving you a great chance to watch people and observe the bustling live in the city! All these transport options make it easy to get around and find your favorite mode of transport for the moment. To plan your trip to Hong Kong, find all you need to know in my Destination Guide – Hong Kong!